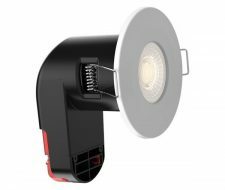 A 90 minute fire rated dimmable LED down light which is ideal for commercial or industrial applications. IP65. Option of 3000K or 4000K. With the added benefit of interchangeable bezel. Integral dimmable driver.